Many people may unaware of this but air quality is hugely affected by how clean your air ducts are, whether in the home or office. Depending on how clean your air ducts are will affect the performance of your heating and cooling systems, and how much energy they consume. It is not uncommon for things like indoor pollutants, mould, mildew, airborne allergens, viruses and bacteria to be harvesting inside air ducts. This article will share with you the 5 key benefits of cleaning air ducts on a regular basis. Having a sanitary and healthy indoor environment is important for both homeowners and commercial buildings as well as office environments. Having air ducts professionally cleaned on a regular basis by an HVAC engineer helps to improve airflow, increases sanitation, raises the indoor air quality as well as lowers the costs of HVAC systems and makes an interior environment much more comfortable to be in. The 5 benefits of air duct cleaning have been highlighted below and this article will show you the reasons why you should consider the air quality of your home and office the reasons why you should have them cleaned more regularly. As air is pushed through a ventilation system, it is incredibly common for allergens, molud, mildew, pollutants, and contaminants to settle along the air vents and ductwork. Almost every ductwork system uses air filters but not all of these contaminants can be effectively caught and collected by filters. This makes it vitally important to regularly clean your air ducts. This will help to vastly improve indoor air quality and increase airflow, thus reducing contaminants via the ducting from contaminating your indoor environment. You can easily improve indoor health and make the air you breathe much fresher with fewer contaminants by cleaning your air ducts regularly. In a household, there are many different pollutants such as tobacco smoke, mould, radon and even fumes from cooking in the kitchen. When you include the threat of dust particles, mould spores and viruses; it can make the air quality in your residence even worse. By cleaning your air duct system you can get rid of plenty of these contaminants and promote better air quality. When an HVAC system is clogged up and trying to contend with contaminants, it can affect the air ducts and the actual performance of the heating or air cooling mechanisms. When air ducts are cleaned, you can effectively remove common debris that blocks and decreases air flow. When the ducts and vents are cleaned out and any pollution is removed, you will get noticeably better results from the HVAC system which will bring you more comfort. You will get far more efficient heating, as well as air conditioning and overall air flow. When air ducts are regularly cleaned and maintained, and blockages are removed, this will make a noticeable reduction to your overall air conditioning and heating costs. Your heating and cooling system will be consuming less electrical energy because of the improved airflow. Having your ductwork cleaned out can easily increase energy efficiency and it can also improve the performance of HVAC units. When your unit is functioning properly you will end up spending far less money on maintenance and repair costs that are associated with the lifetime of the unit. As mentioned above, when a heating or cooling system is experiencing problems moving air through the ducting systems, it will end up working much harder than it needs to. What often occurs is the desired temperatures may not be reached and the functionality and usability of your system becomes limited. When the air ducts are not cleaned, it will undoubtedly put extra stress on the HVAC system which can lead to greater wear and tear and eventually leads to higher maintenance and repair costs as parts fail. Having your ducts cleaned can improve and restore the airflow through an HVAC system and will lower the stresses on the heating and cooling systems. In order to get the most from your commercial building or home’s HVAC system, you will need to have fresh, clean air. You will also want your temperatures to function correctly and have as little issues as possible with your heating and air cooling system. By having your air ducts cleaned by professionals, you can benefit from the 5 points mentioned above. 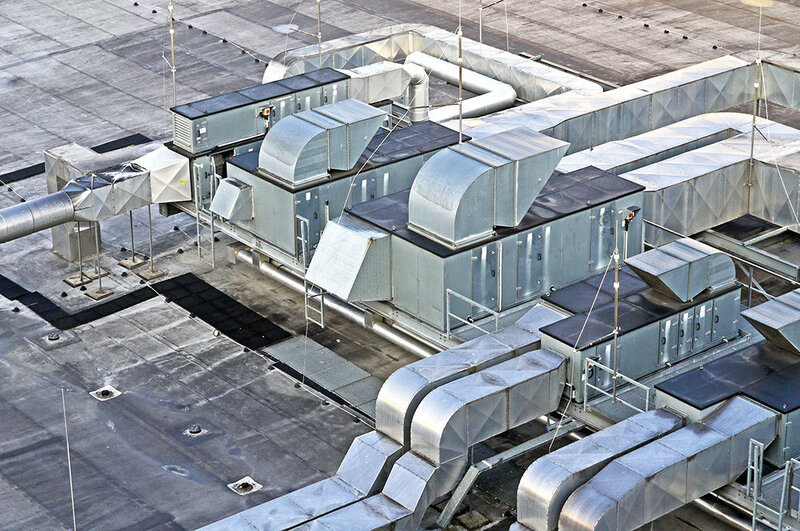 Related Article: Should Your Office Air Conditioning Get Serviced Regularly? Air duct cleaning is essential to maintain good temperatures, clean healthy air and to prolong the life of your HVAC unit. Read our blog post to learn the 5 key reasons why air ducts should be regularly cleaned by a professional at home of the office.